So, here are five brand new books that take up this matter, each in their own genre and style. Each really deserves its own lengthy review, but I will be brief. Buy these books and share them. We have them at 20% off the listed prices, to make it more affordable for you. You will not regret having these. If you don’t need them now, you will soon enough. W alking with God Through Pain and Suffering Timothy Keller (Dutton) $26.95 This is a truly amazing book, perhaps one of the very best of its kind. Not unlike, say, Philip Yancey or Gerald Sittser, Keller draws on wide sources, but is rooted in robust, theologically conservative, evangelical ground. I assume you know that he is a widely respected, urban and urbane Reformed church planter, now head of staff of a large network of sophisticated parishes in New York City, and is renowned for his thoughtful books and clear, meaty teaching. (The New York Times suggested that he was this generation’s C. S. Lewis, who, by the way, wrote widely on “the problem of pain” and his own observations of grief.) I wasn’t sure this would necessarily make the book fresh and really useful — some books in this field are theologically sound but rather dry, abstract, even, and I feared this could be the case — might it be too academic and bloodless, proper but without passion? Once I started the book I was immediately drawn in and any concerns I had were put to rest. I am happy to report that Keller the apologist and Keller the Bible scholar and Keller the pastor are all here. 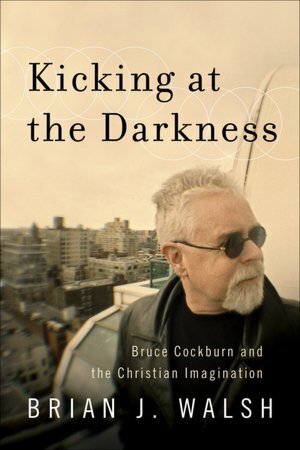 In fact, the book is nicely sequential, starting with several more abstract and “big picture” chapters responding to what he calls, from Ernest Becker, “the rumble of panic” called “Understanding the Furnace” (in which he explores the cultures of suffering, the challenges suffering presents to the religious and the secular worldview, and other of the deeper matters surrounding the problem of evil.) The book then moves into its center piece, a unit called “Facing the Furnace” (which offers mostly conventional, but very profound Biblical and theological guidance for understanding suffering.) This insightful portion is then followed up by a third very pastoral section called “Walking with God in the Furnace” which shows a variety of responses, several ways of coping, different sorts of spiritualities that can help those in anguish. Rev. 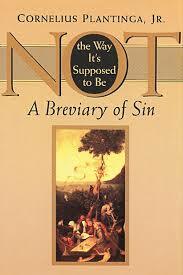 Keller suggests that those in seasons of suffering might want to read this section first. So, Walking with God Through Pain and Suffering is a amazingly thoughtful, very good book; it is sharp, orthodox, caring, offering a nice balance of lucid apologetics and crisp argument and tender Biblical insight alongside real-life stories that are both powerful and persuasive. 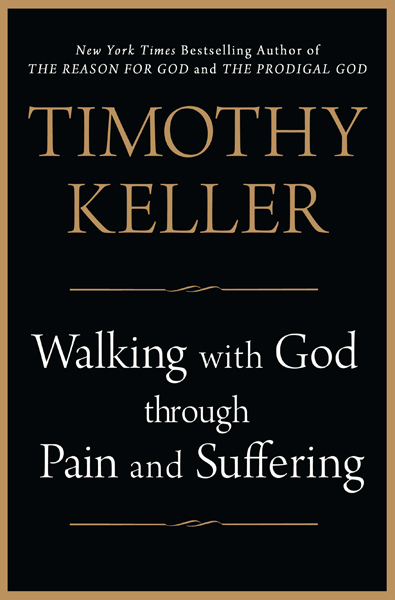 I didn’t know of the personal suffering born by the Keller family, by the way, and knowing this from a few passing portions reminds me that this book emerges from his own walk with God through his own fiery furnaces, making it a very good addition to the library in this field, and a must-read for any Keller fans. I will be revisiting this often, I am sure. If you, or anyone you know, have given up on faith (or even given up on church) because of the false piety or the failings of the so-called formulas for success, this story of a failed leader, now a pastor of the urban LaSalle Street Church in Chicago, a faith community known for its care for the confused and hurting, then this book is for you. She knows, as they say, what it’s like when life hits the fan. Her community relishes the frightening, liberating move of shedding our pretenses, of owning who we really are, wounds and foibles, hurts and sins, and all. 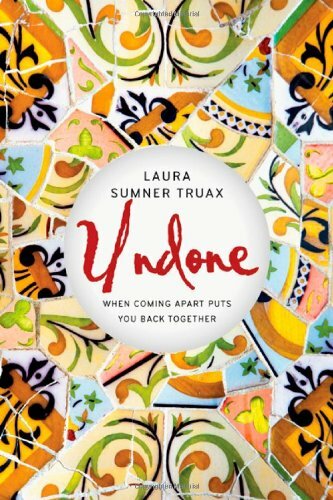 Undone: When Coming Apart Puts You Back Together tells her story, and theirs, and I think you will love it. Kudos to IVP for offering this kind of honest, helpful story. T he Long Awakening: A Memoir Lindsey O’Connor (Revell) $17.99 You know how we love memoir. When a story is very well told, if it is even slightly moral, we are grateful — a good lesson disguised in a literate telling and powerful narration of a life — a beautiful and artful example of how one makes meaning of one’s own days, is a gift indeed. And this book is, indeed, a great gift. 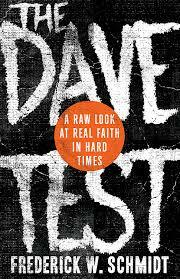 As a memoir, it isn’t directly about the question of theodicy, nor does it directly offer advise about how to cope with life’s hardships. It is profound and moving, though, and I wanted to share it in this list, now. This is an intimate story, lyrical, honest, scary at times. There is illness, danger, medicine, science, doubt, faith, friendship, anguish and hope… a glimpse into the hard lives some endure, and the brave and good way they emerge towards wholeness. I know this isn’t helpful, really, to say, but I must put it in writing, for the record: I was blown away by the incredibly beautiful epilogue, the few final pages that are themselves, nearly worth the price of the book. What excellent writing by such a good, good writer, who gently frames her own struggles by other, equally moving stories. As John Biewen (of the Center for Documentary Studies at Duke University) writes, The Long Awakening “glimmers with a keen understanding of what matters.” Yes! questions of his famous brother. As it says on the back cover: “Life is raw. is a beautiful vision for a helpful life. stand-in for Fred with some Dave who is at risk. One cannot write as I am trying to do in this column, listing a few new books that are about suffering and hardship and the problem of evil in the world, without naming the sorrows brought about by poverty, injustice, and war. There are many, many (thanks be to God) good books that tell of the good work some are doing to alleviate the misery of the human race. Evangelical Christians, especially, these days, have taken up the calling of being agents of change in the broken world, and publishers who have not previously released books about social justice and cultural renewal are now doing so, often with great effect. I have written before how there is a new renaissance among younger evangelicals, and their stories are being told by many good publishers willing to risk controversy to share this good Kingdom news. Jeremy Courtney is just such a young follower of Jesus and his faith motivated him and his wife (and two children) several years ago to move to Iraq, working at first with a relief and development agency there. They lived without much electrical power in their home, they had marriage hardships, their work was fulfilling but difficult and frustrating. And, then, in an encounter which truly changed the course of their lives, Jeremy met a man who tenaciously asked him to help find a doctor for his young nephew’s heart problems. 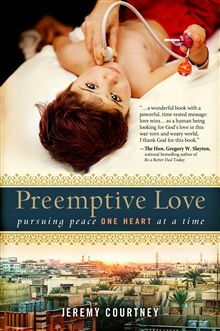 This encounter did indeed change Courtney — moving him (eventually) to learn to trust, to “love first and ask questions later.” He eventually developed a philosophy of countering the injustices of the world which he has come to call “preemptive love” and the emergence of this profound missional vision is part of the story of this book. The Preemptive Love Coalition is also the name of the organization he eventually co-founded, a ministry that — yes, you guessed it — helps heal the hurt hearts of Iraqi children. You see, the wars there (starting at least with the genocidal gassing of Kurdish villages by Saddam Hussein and certainly including the enhanced radiation weapons US forces used in wars there) have caused parts of that region to become one of the most toxic places on Earth. Did you know that there is an epidemic of heart disease among Iraqi children? And, you will not be surprised to know, they have no trained heart surgeons or places to do sophisticated heart surgery on children in the whole country. For any number of reasons, the regimes there have not funded the medical infrastructure (and there was the devastating sanctions of previous decades) so there has been a brain-drain, as well — there just are not doctors or hospitals or researchers capable to do the sorts of life-saving heart work so very badly needed. The rate of congenital heart problems in Iraq is soaring and the Preemptive Love Coalition is working to end the backlog of kids waiting for surgery. Courtney recounts taking by commercial airline sheaves of paperwork to nearby Jordon in a paper chase that was destined to save lives — but only a few lives. Which precious child’s heart could be repaired? Only a few fortunate ones where chosen while hundreds if not thousands who had need were sent home. Village doctors would (with uncanny gifts and knowledge) put their heads on the chests of the little ones, listening carefully for the holes in their hearts. More advanced medical care just didn’t exist. Preemptive Love is a heckuva book — thrilling, exciting, exasperating, tragic, comic, honest. I could write for pages about the episodes, from the first meeting with the tenacious uncle in the lobby of a Baghdad hotel to the vivid narrative of the horrific poison gas bombing of Halabja on March 16th 1988 to his telling of “The Iranian Bard and His Beautiful Shoes” to the stories of betrayal, hostility among the Turks, and the ongoing brave work bringing health care to families of children in a volatile war zone. And the price it has cost them, emotionally and spiritually, struggles and consequences about which they hint. This really is an amazing story, and an amazing book. There are fine and inspiring books of people who cope with hardships by trying to rise above it all. There are fine and inspiring books that pull at our heart strings as they tell of serving the poor, stories of mission and ministry. They sometimes feel like an info-mercial, and they are good for just such purposes. Mr. Courtney’s book, though, is in a different league, I think, as it covers mission and history, personal memoir and adventure, political insight and a broader vision of the common good than do some commendable specific mission stories. And the Preemptive Love Coalition has at its core this very, very important truth: that to be God’s agents of reconciliation, we simply must undo some of the wrongs we have caused or have been complicate. We must not only seek to heal the wounded politics of war, we must serve the victims. And even our enemies will be forgiving if we offer to help their dying children. 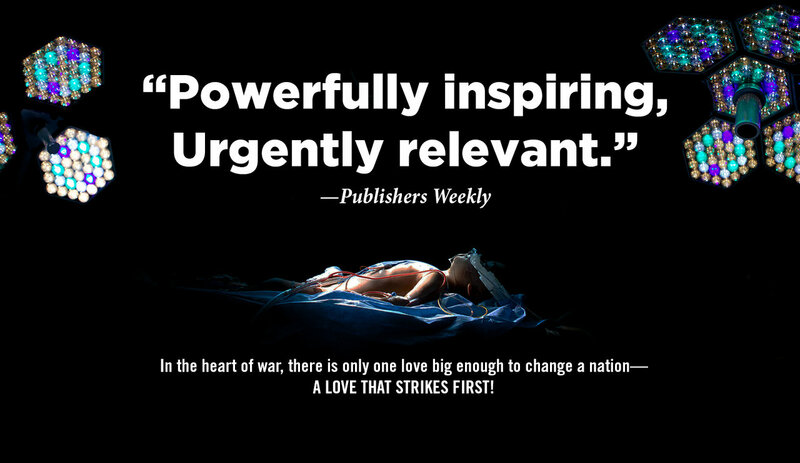 This book is a moving memoir telling of dramatic medical missionary work, but it is more: it offers a rare and profound vision of peacemaking. Muslim, Christian, Arab, Kurdish, Turkish, Iraqi, Iranian, Western, terrorist, revolutionary, imperialist — the hostilities are thicker than Turkish coffee and yet Jeremy has walked among them all. Offering to heal the broken hearts of those with a history, those with legacies of betrayal and persecution, by literally fixing the holes in the hearts of their children, seems to be a universally effective means of offering what I might call penance. He does not use that word, and perhaps I am over-reaching, but it seems clear to me that if we are to be peacemakers — to be called ‘children of God’ as Jesus Himself promises — we must insert ourselves in incarnational ways among the victims of our “warring madness” as the old hymn puts it. Medical missions offered for sick children is an ideal and fruitful means of grace. As he simply writes, “Surgeries speak.” This is more, though, than a feel-good story of helping sick kids. This is a profound example of new strategies for the doing God’s reconciling work among the nations. Jeremy Courtney is doing some of the most redemptive work on the planet, providing lifesaving surgeries for Iraqi children. From TED talks, to mega-churches, to Congress to the UN, Jeremy’s message that “violence unmakes the world, and love remakes it” has been transforming hearts and minds. Now that message is in your hands. Share it with the world.